Your Answer Sheet is a very important piece of paper. First of all, your score for Reading and Listening tests is calculated based on what you have written on it – only! It means that if you’ve got all the Reading/Listening test answers right but didn’t copy them from the booklet to the Answer Sheet, you will score ZERO for the whole Reading/Listening test. I have read in the IELTS official site that you can request later that they check your booklet for answers, but honestly – who needs the headache? Second, it is best that you look at the Answer Sheet before you go to take IELTS because it has this certain structure you need to be familiar with. There are 2 sides you must fill, one for the Listening and the other for the Reading answers and they look very much alike. It is very easy to mix them and start writing answers on the wrong side, so check and see what’s printed above the table with answer numbers 1-40, “IELTS Listening Answer Sheet” or “IELTS Reading Answer Sheet”. Third, when you are training (with a clock) for IELTS, you should include in your practice copying your answers to the Answer Sheet. 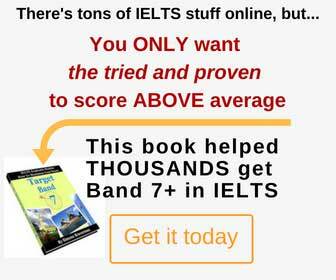 This way you imitate the whole IELTS process better and get used to managing your time correctly. So here use this link to a PDF file from the IELTS official site, open it, go to page 7 and see for yourself what IELTS Answer Sheet looks like – click here.